"The task should be fun, exciting and something you don't normally do." I considered painting a picture. However I wasn't keen on the idea of buying paints to use once and upon reflection, I did not find the idea of painting exciting. I checked Meetup. One lunchtime event. A talk on practical philosophy. That could be interesting. I clicked the link. A talk revolving around a classic 15th century painting. Damn and blast it! Why did everything suddenly involve artwork? I had no appetite for it. What did I like? Well, I liked exploring. A little bit. When a certain mood took me. Would it take me today? 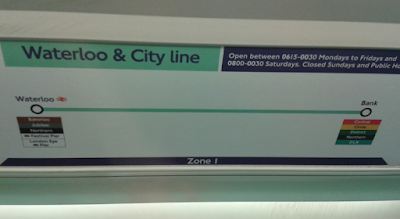 The tube map. I opened it up. There it was staring me right in the face. The Waterloo and City line. The line with only one stop. I'd never taken it before. That line wanted taking. That would be my task for the morning. 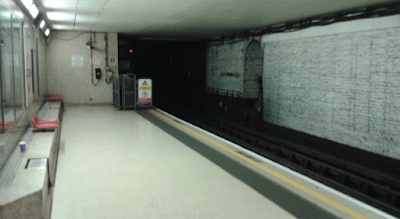 I normally changed lines at Waterloo by taking a foot tunnel that ran along below ground. Not this time. Today I would be resurfacing to change. How exciting!!!! 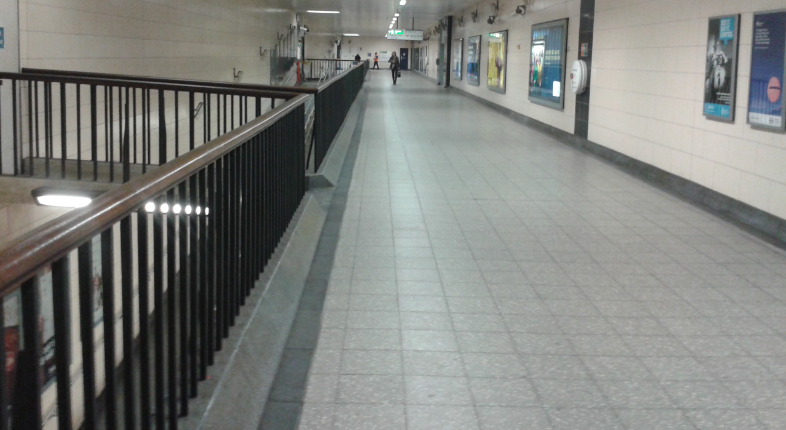 Waterloo itself was moderately busy. Where could all these people be travelling to at 10:30am on a Tuesday? Delinquents and cads the lot of them. McDonald's. Should I? No. 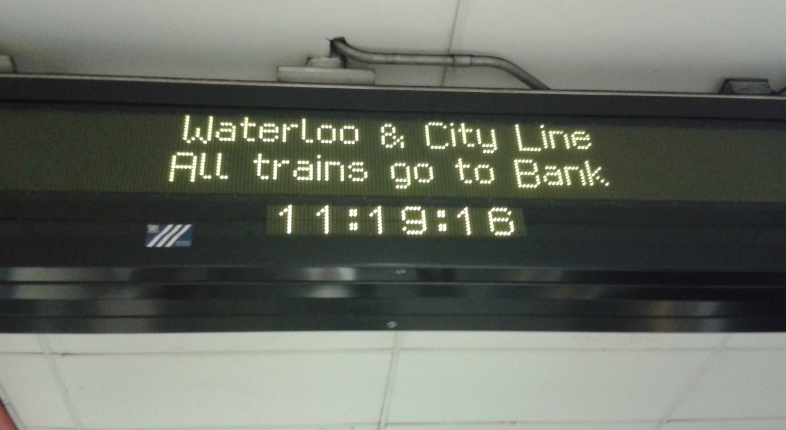 I enjoyed my time on the Waterloo and City line very much and will remember to take it the next time I need to travel from somewhere near Bank to somewhere near Waterloo or vice versa. 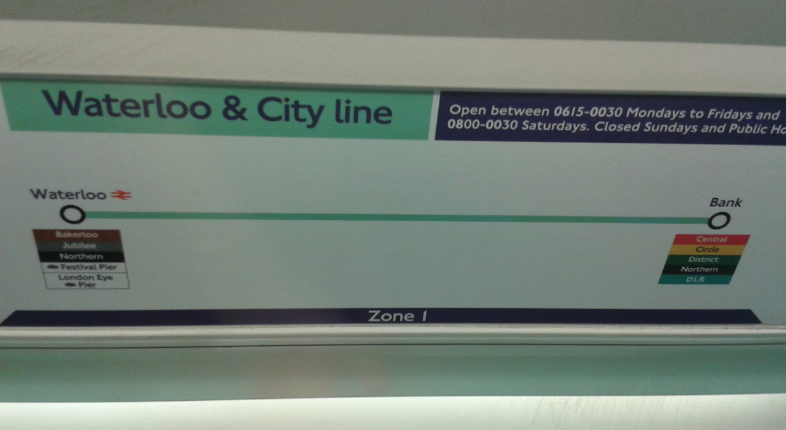 I’m glad you enjoyed your excursion to ‘the line with only one stop’. Sounds a bit foreboding and put me a bit of mystery murderous thriller mood. Yes I think a person could make a film where the plot involves an abandoned tube station at Waterloo and City without too much difficulty. 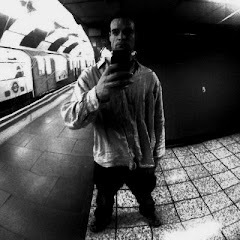 So next time you come to London, bring a camera and a zombie mask. K? I always go into a sort of look at no one, speak to no one and definitely do not accept any help high alert mode in London. Probably due to having a brush with a pickpocket on the escalator many years ago and someone asking if he could ‘help me’ carry my luggage. As my next trip will be around the height of summer I’m not really looking forward to using the tube, as last time it was a bit hot down there. Also always want a long hot bath when I get home. I wonder if you could get by using buses, taxis and the overground. #328 Less than impressive, less than impressed. #310 How much guilt do you want to carry around? #304 Why are our eyes in the back of our heads?